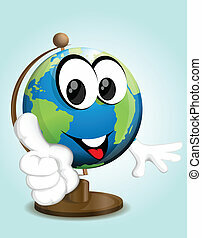 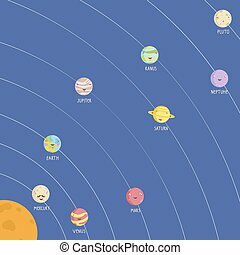 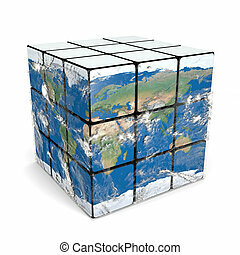 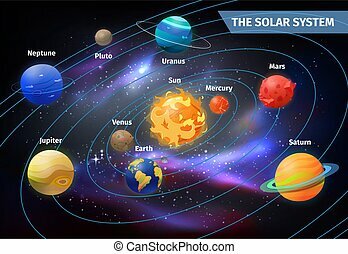 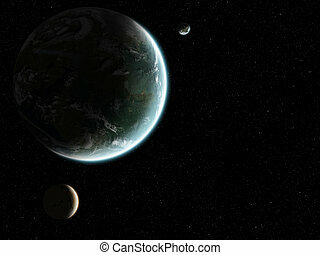 Earth surface with planets around. 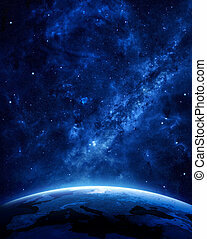 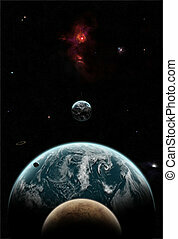 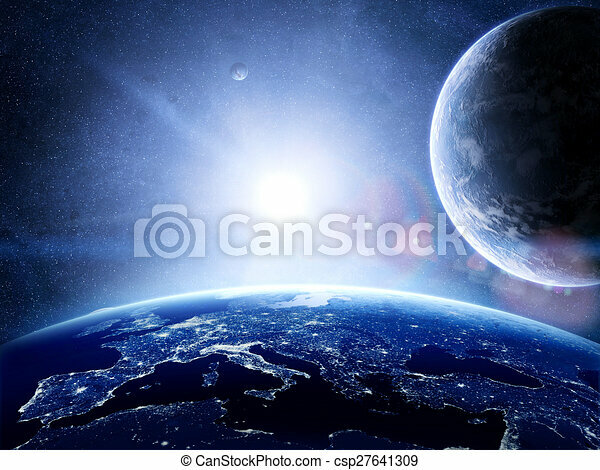 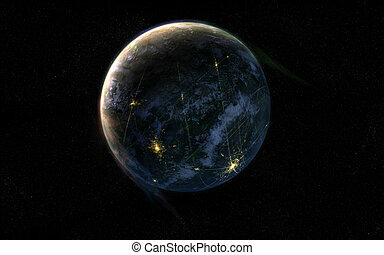 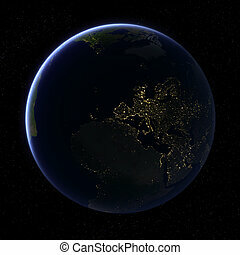 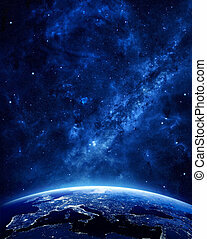 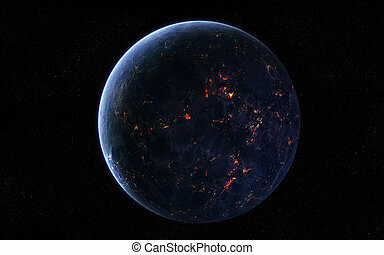 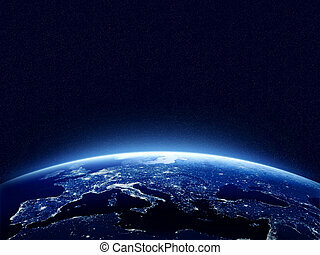 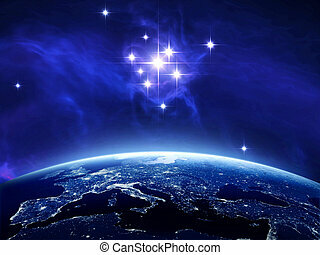 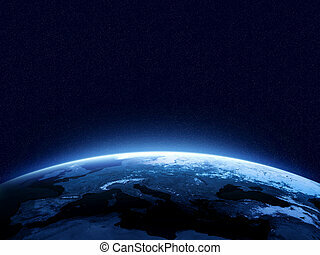 Earth surface with city lights, sun shining and planets as moons above it. 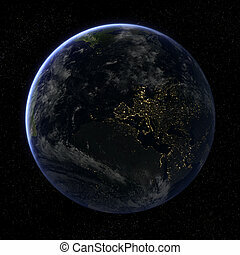 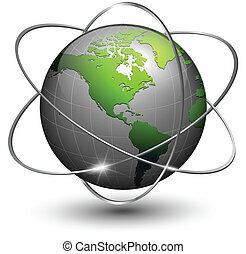 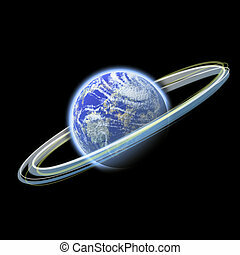 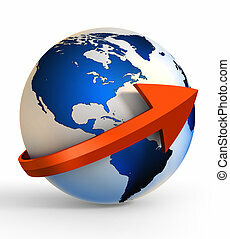 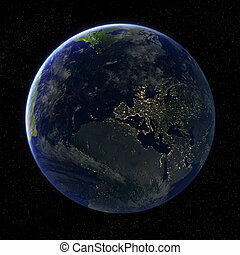 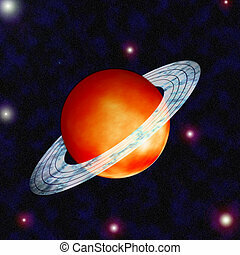 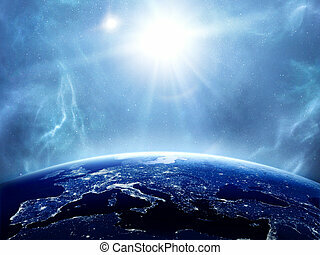 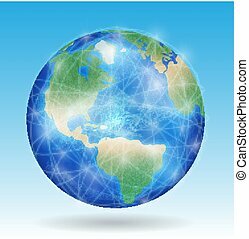 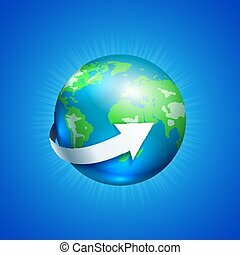 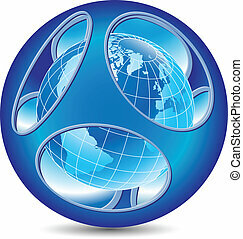 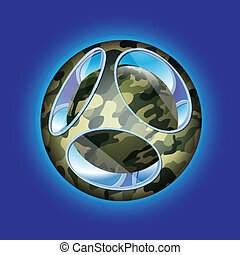 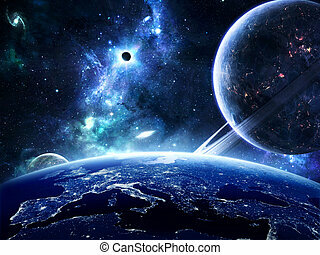 A glowing planet earth illustration with glowing rings of light spinning around it.